Cut the brussel sprouts in half. 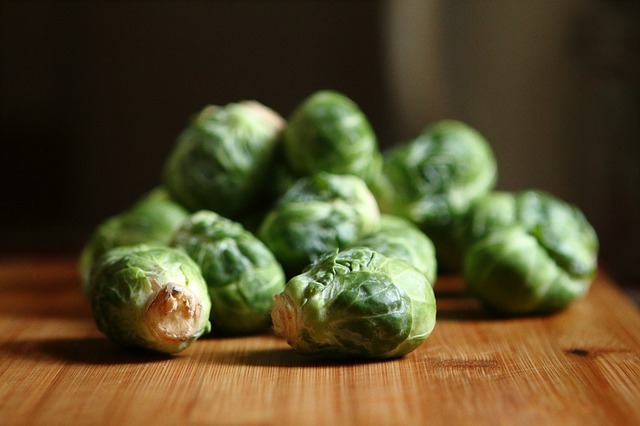 Mix them Brussel Sprouts and garlic in a bowl with the olive oil, salt, and pepper seasoning. Transfer them to a sheet pan and roast for 15 minutes. Shake pan, toss veggies and add figs. Roast for another 20-25 minutes until the brussel sprouts are golden around the edges and tender to a fork. Sprinkle with balsamic and pecans and serve warm.